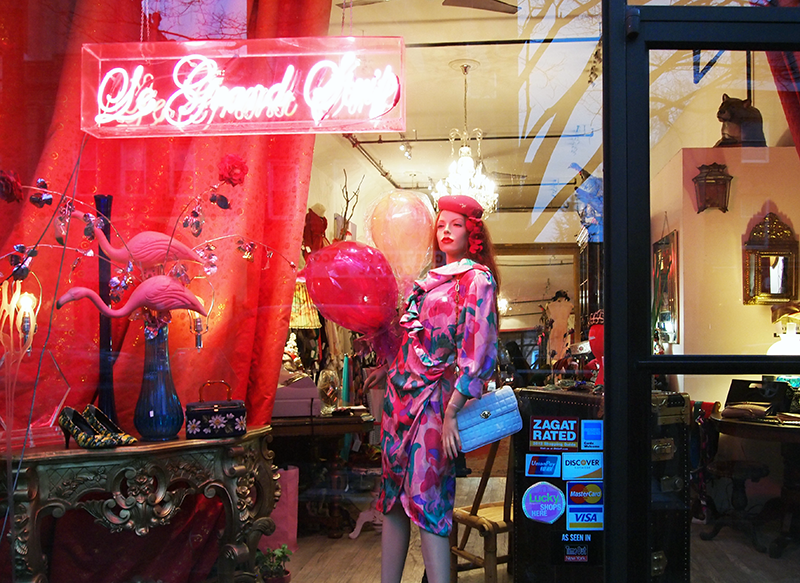 Le Grand Strip is the most amazing vintage store I've ever been to, located on Grand Str. in Williamsburg NYC. They carry both high-end brands like Chanel and Dior, and mid-priced one of a kind vintage. Le Grand Strip is used often by NYC most prominent stylists and creative people to seek inspiration, a lot of stuff in there wasn't even for sale. I got this amazing jacket there, and I'm totally in love with it. love that jacket an insane amount. super blog, im now following you!